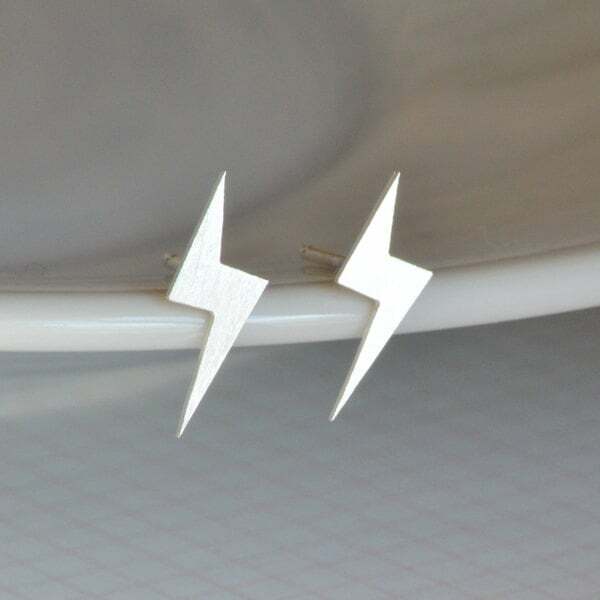 These lightning earring studs are handmade at my studio in England, the UK. 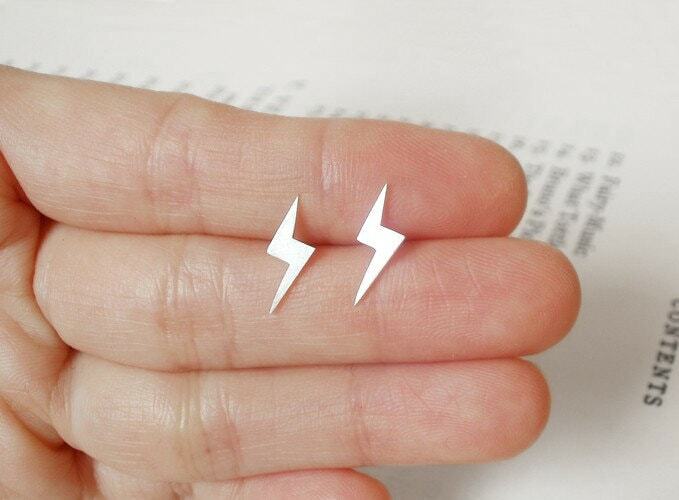 Awesome lightening bolt earrings! Every piece from this artist is so beautifully crafted! 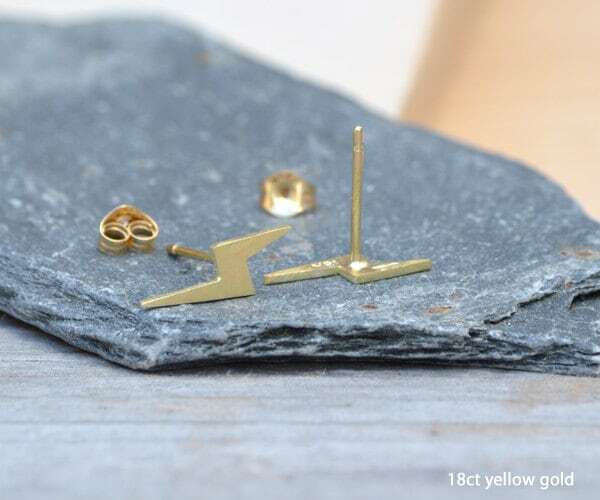 Lovely earrings, well packaged and came quickly. Very happy with my purchase! 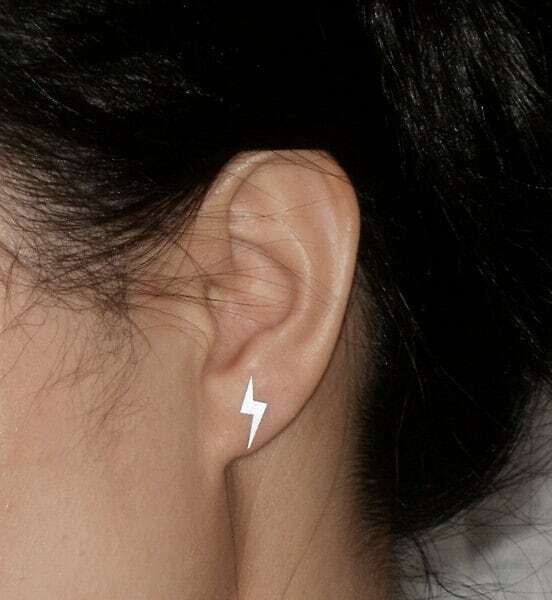 These earrings were purchased along with three others. All were exactly as advertised and well made. Packaging was good. Shipping was timely. This is my third visit to this shop. Lovely jewellery and wonderful service- thank you! 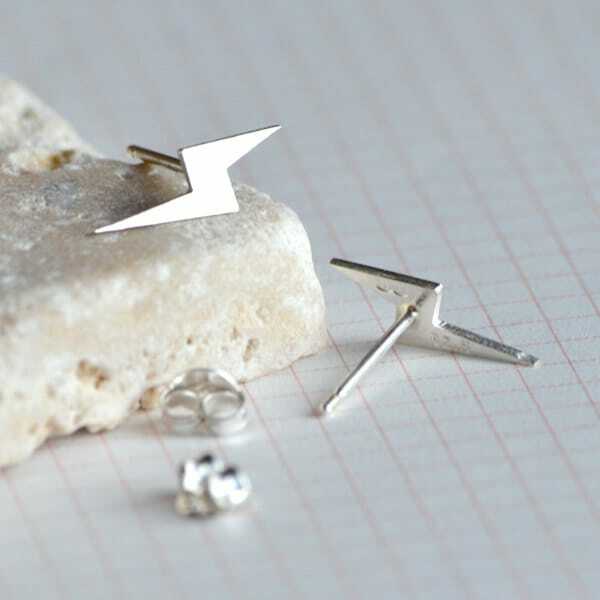 These earrings are just great - really different and funky but quite delicate at the same time. I bought them for a present for my daughter but keep wanting to steal them (her teacher loves them too).